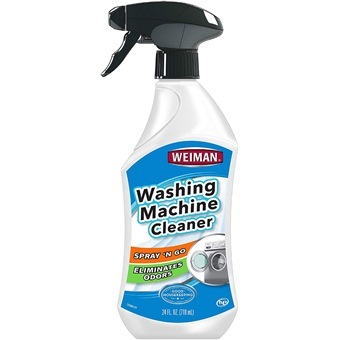 Eliminate unpleasant odors from your washing machine with Weiman Washing Machine Cleaner. This spray-and-go formula keeps laundry smelling fresh and clean load after load. Eliminate unpleasant odors from your washing machine with Weiman Washing Machine Cleaner. This spray-and-go formula keeps laundry smelling fresh and clean load after load.